A significant number of Canadians do not visit the dentist for regular checkups because they are too fearful or suffer from dental anxiety. Sedation dentistry offers an excellent way to provide a safe, anxiety-free, dental experience to those who are afraid of the dentist. Sleepiness is a side effect of some medications, but oral conscious sedation and IV sedation only work to calm anxiety throughout the dental visit. Sedation dentistry is popular because most sedatives can be taken by mouth, meaning no injections, no anxiety and no pain. Some sedatives work so effectively that even the smells and details of the procedure cannot be recalled afterwards. Whatever the form of sedative, it is essential to be accompanied by a caregiver. Sometimes, sedatives are provided the night before the dental visit, which means that driving to or from the appointment is not advisable. At Elgin Corners Dental, we offer nitrous oxide, oral conscious sedation, and IV sedation. Different levels of sedation (mild, moderate and deep) can be utilized depending on individual needs. The most popular types of dental sedatives are nitrous oxide, oral conscious sedation, and IV sedation. Different levels of sedation (mild, moderate and deep) can be utilized depending on individual needs. The overwhelming fear of dental appointments can be a common cause of serious oral health problems. 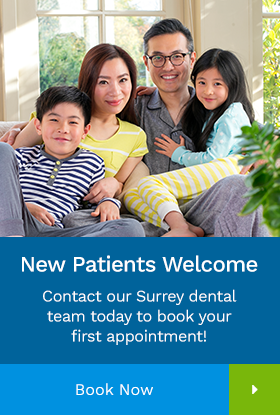 Dental anxiety and fear can become completely overwhelming, but the fact remains that receiving regular dental check ups and cleanings is the easiest way to maintain excellent oral hygiene and reduce the need for more complex treatments. Your comfort, relaxation and happiness are our first priority, and our staff will do whatever they can to reduce anxiety, allay fears and provide painless, quick treatments. Many people are afraid that the dentist will not know they are in significant pain during the appointment, and will carry on the procedure regardless. The best way to solve this problem is to agree on a “stop” hand signal with the dentist. Both parties can easily understand signals like raising the hand or tapping on the chair.